Formed in late 2010, Tweed Funk garnered national attention with the release of 4 albums and dates throughout the Midwest, Northeast, and Southern United States. With the passing of frontman Joseph “Smokey” Holman in October of 2017 due to complications from multiple myeloma cancer, the band brought in Gervis Myles as the lead singer. Gervis Myles began singing in church choirs after being encouraged by his mother Gloria Myles Knox and his wife Kathy. Gervis has recorded as a guest vocalist for local Milwaukee artists including harmonica player Jim Liban and The Mighty Stokes. Longtime member and 2013 Wisconsin Area Music Industry (WAMI) Bass Player of the Year, Eric Madunic, continues to hold down the bass and lend both backing and lead vocals to the band. Andrew Spadafora, a two-time WAMI winner for Brass/Reeds Player of the Year, continues to wow audiences with his sax playing and doubles on keyboards. Dave Schoepke, a 2009 WAMI Winner, who tours with Martin Barre (Jethro Tull) and Willy Porter, handles the percussion work. Randy Komberec, a staple on the Milwaukee original music and cover band scene, plays guitar and doubles on vocal duties with the band. From 2010 to 2017 the band was fronted by Joseph "Smokey" Holman, who recorded under Curtis Mayfield in the early 70's. Tweed Funk boasts 5 Wisconsin Area Music Industry (WAMI) Wins since 2012 for the band and its members. In April of 2016 the band released their fourth CD, “Come Together”, consisting of 10 new original tunes. Tweed Funk toured the Midwest and east coast of the United States in support of their new album. In March of 2016 front man, Joseph "Smokey" Holman, was diagnosed with multiple myeloma. 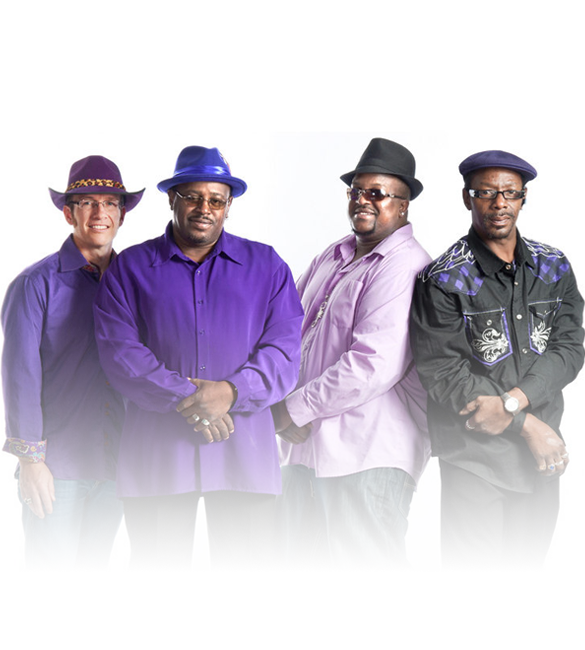 The band took a 7 month hiatus in the latter part of 2016 while Smokey underwent a successful stem cell transplant. Following his treatment the band is returning to the concert and festival stage in 2017. In September of 2016 American Blues Scene Magazine named Tweed Funk as one of 14 ‘New Old Soul’ Acts You Need To Hear Right Now. The article features soul stalwarts Sharon Jones & The Dap Kings, Leon Bridges, John Nemeth, Vintage Trouble, St. Paul & The Broken Bones, and more. Tweed Funk’s fourth CD, “Come Together”, performed well on the blues charts and received airplay and reviews from around the world. Additionally, the CD crossed-over to non-commercial formats outside of blues radio. “Come Together” reached #11 on the Roots Music Report (RMR) Top 50 Blues Album Chart and #1 on the RMR Soul-Blues Chart; reached #19 on the Living Blues Chart; featured as Dan Aykroyd’s (aka Elwood Blues) “blues-breaker” on the internationally syndicated radio program The Bluesmobile.com; airplay on BB King’s Bluesville on SiriusXM; and Joseph “Smokey” Holman was nominated for a 2016 Living Blues Award for Most Outstanding Blues Singer. Tweed Funk won the WAMI for R&B/Soul Artist of the Year in both 2015 and 2012. In 2015, Andrew Spadafora took home the WAMI Award for Brass/Reeds Player of the Year; in 2013 frontman Smokey took home the WAMI for Male Vocalist of the Year and Bassist Eric Madunic for Bass Player of the Year. The song "Dancemaker" won Big City Rhythm & Blues Magazine's Coolest Blues Song of the Year for 2013. Tweed Funk has appeared at some of the top festivals and blues rooms in the Midwest, South, and Northeast including: Bayfront Blues Festival, BBQ in DC, Blues at The Crossroads Festival, Byron Crossroads Blues Festival, Chicago Blues Festival, Kalamazoo Blues Festival, Marquette Area Blues Festival, Mississippi Valley Blues Festival, Northwoods Blues Festival, Paramount Blues Festival, Prairie Dog Blues Festival, Sioux Falls Jazz Fest, Smokin’ in Steele Fest, Waukesha Bluesfest, Buddy Guy’s Legends, Time Out Pub, Madam’s Organ, Slippery Noodle Inn, House of Blues – Chicago, Jazz in the Park, Summerfest, and many more. Tweed Funk has taken their show on the road playing in 21 different states throughout the USA. Fronted by Smokey's sweet, soulful vocals, audiences can quickly hear how Smokey was a pick to hit the Billboard Soul Top 20 back in the 70’s on Curtis Mayfield’s Curtom Records with the band Love’s Children. Eric Madunic's passion for Memphis-style soul in the tradition of Donald "Duck" Dunn can be heard in his bass playing and songwriting. Eric also played the organ, keys, guitar, and arranged the backing vocals for Tweed Funk's latest CD. Dave Schoepke, a veteran drummer of the Milwaukee music scene who has recorded and toured with Willy Porter, toured Europe with Ray Fuller and the Bluesrockers, anchors the rhythm section. Dave is a 2009 WAMI Award Winning drummer and was a significant part of the songwriting process and new direction on Tweed Funk's latest album. Andrew Spadafora on saxophone, leads a 2 piece horn-section which augmented by the up-and-coming Travis Drow on Trumpet. Andrew has taken home 2 Wisconsin Area Music Industry Awards for Brass/Reeds Player of the Year (2015 & 2008).